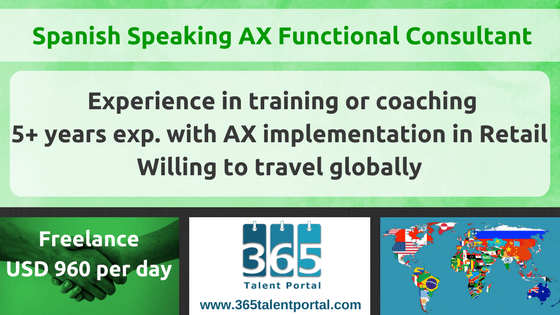 We are looking for Spanish Speaking Dynamics AX Functional Consultants who would deliver training sessions aimed at Microsoft Partners. These assignments will be offered on a Freelance, ad-hoc basis and can be worked on other contracts. The training courses will take place worldwide. They include a mix of virtual and in-person sessions. This is an amazing opportunity to work for a world-leading company and to develop your training skills. Ideally located in Latin America but would consider other territories too.